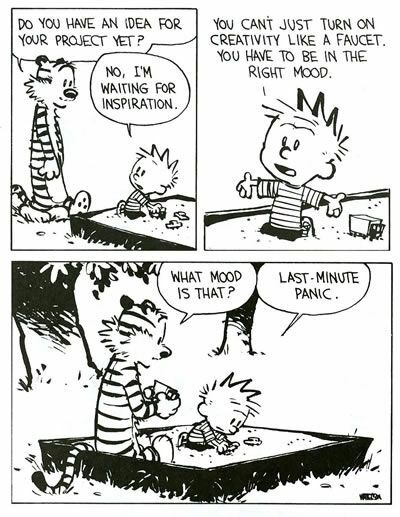 Today, thanks to the genius Brainpickings site, I discovered a wonderful commencement address by Bill Watterson, the creator of the Calvin & Hobbes comics. “If you ever want to find out just how uninteresting you really are, get a job where the quality and frequency of your thoughts determine your livelihood. I’ve found that the only way I can keep writing every day, year after year, is to let my mind wander into new territories. To do that, I’ve had to cultivate a kind of mental playfulness. Go ahead and click here. You might be inspired. 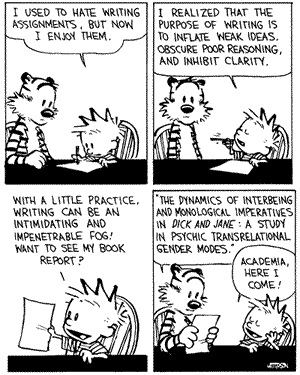 As for the comic above, I think Mr. Watterson is correct. And I am sure he’s writing from personal experience. There’s nothing like a deadline for a kick in the pants. Students often ask about writer’s block. They seem fascinated by it. I tell them that my father was an insurance salesman with seven children. He never had insurance block. Nope. He just went to work. In this profession, when you are stuck? 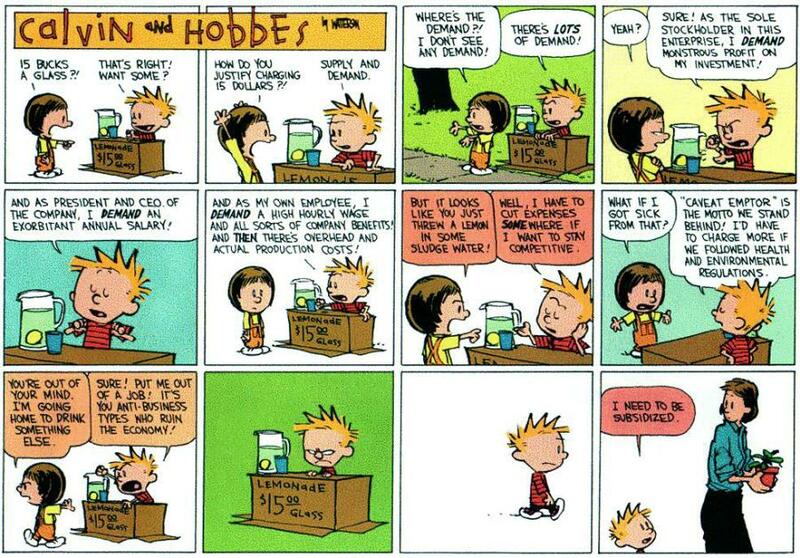 Thank you, Bill Watterson, for your great shining example.